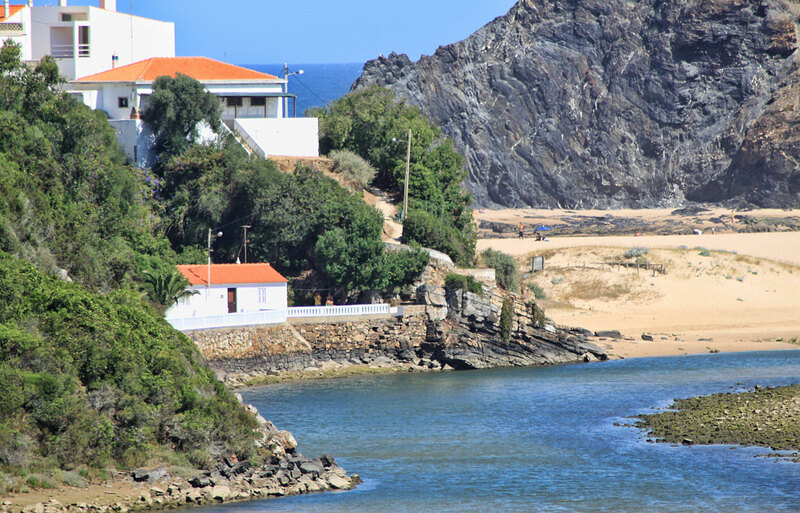 The River Seixe (Rio de Seixe) as it nears the end of its journey to the sea at Praia de Odeceixe on the Atlantic coast of the Algarve. Well actually, the River Seixe is the border between the Algarve and the Alentejo regions, so I guess it is technically a no-mans land?! This slow flowing section of the river behind the beach is home to many interesting plant and animal species which make their homes amongst the reed beds.